Enjoy a ride on the tram or drive up Ski Mountain Rd. 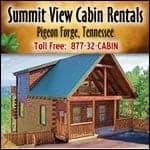 to experience skiing and snow boarding in the Great Smoky Mountains and snow tubing during the winter. For the rest of the year, make sure to check out the alpine slide, mountain coaster, indoor ice skating rink, the amaze n’ maze, carousel, kiddie land, scenic chairlift, shopping, dining, the wildlife encounter and so much more. With both indoor and outdoor attractions, Ober Gatlinburg is perfect for any weather and has long been a staple GREAT ATTRACTION in the smokies!